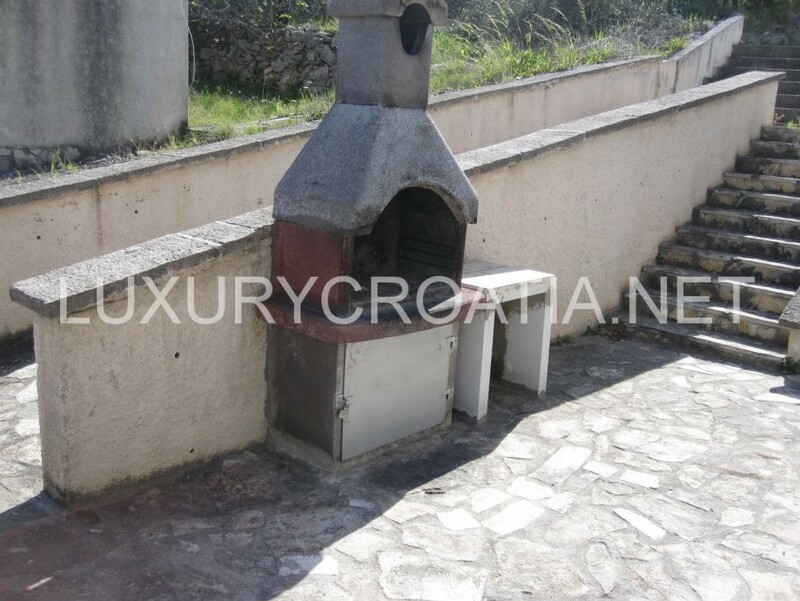 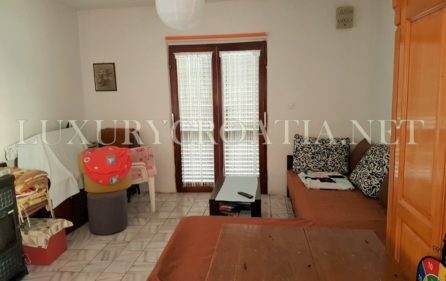 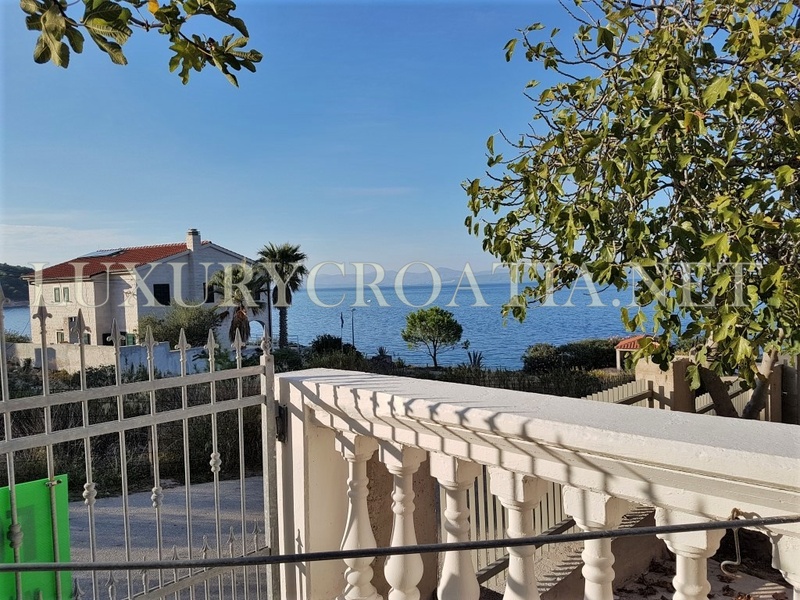 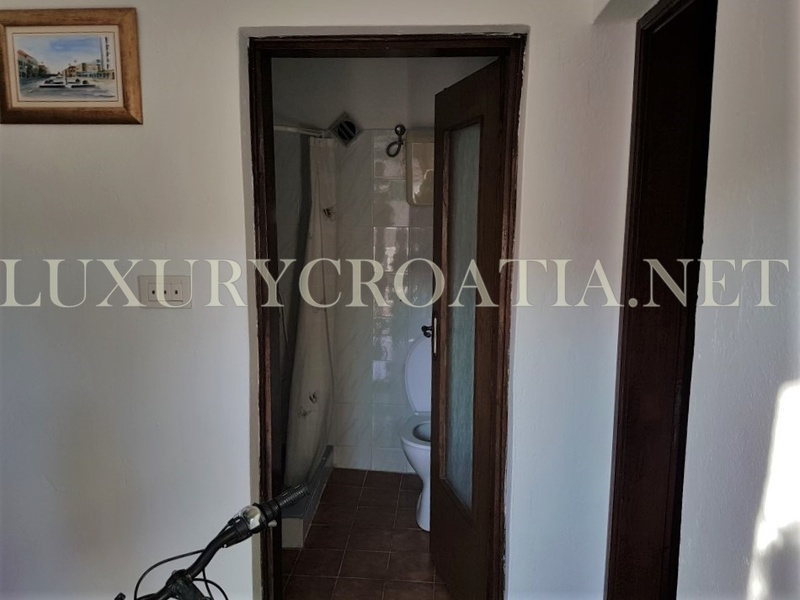 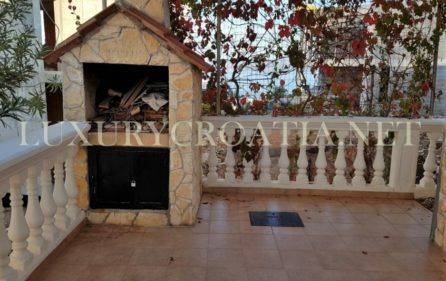 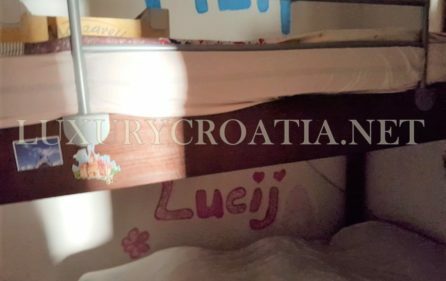 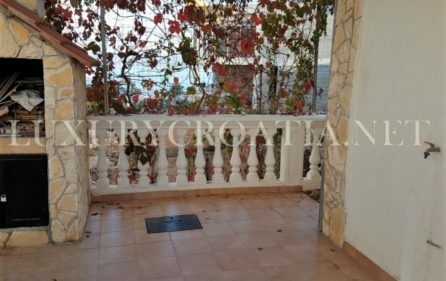 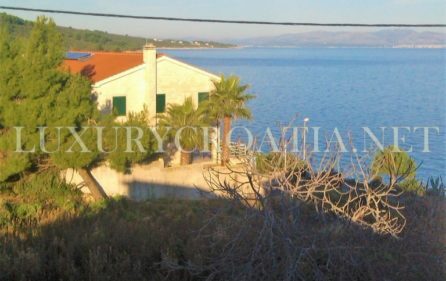 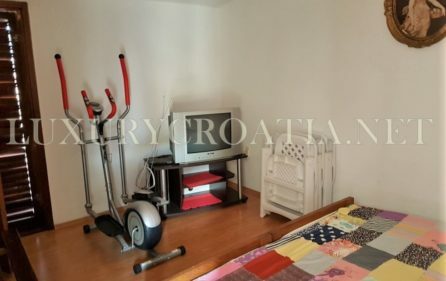 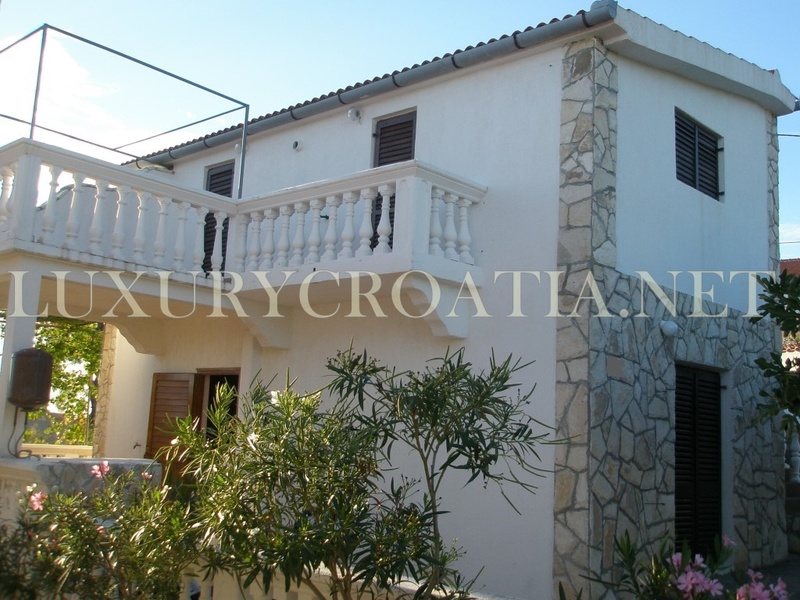 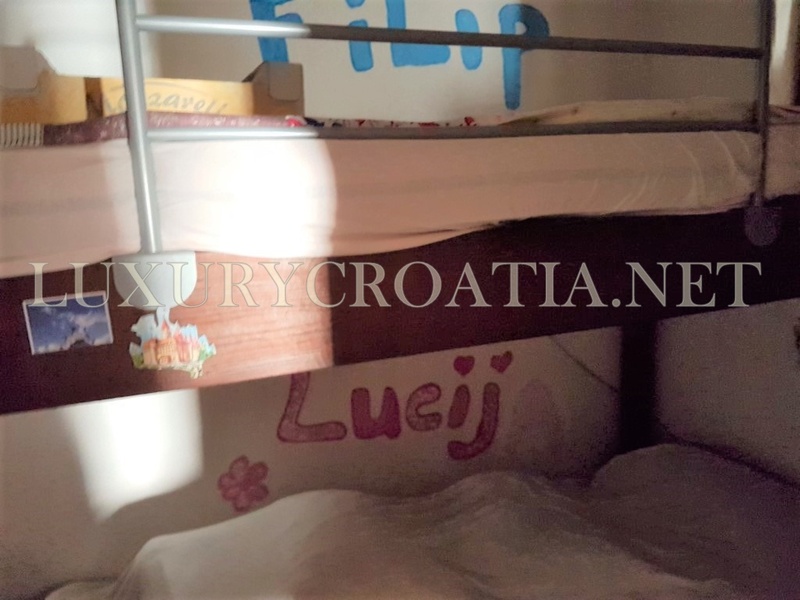 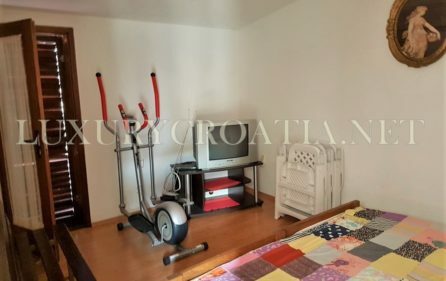 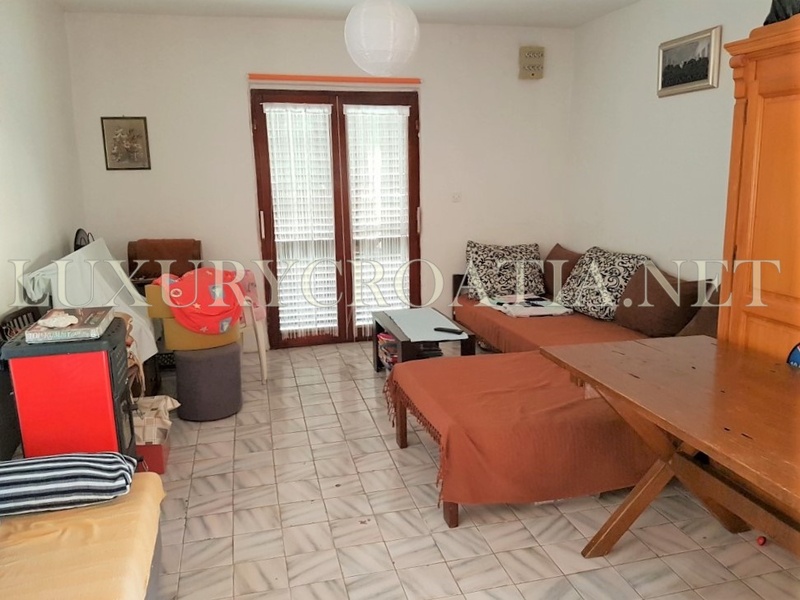 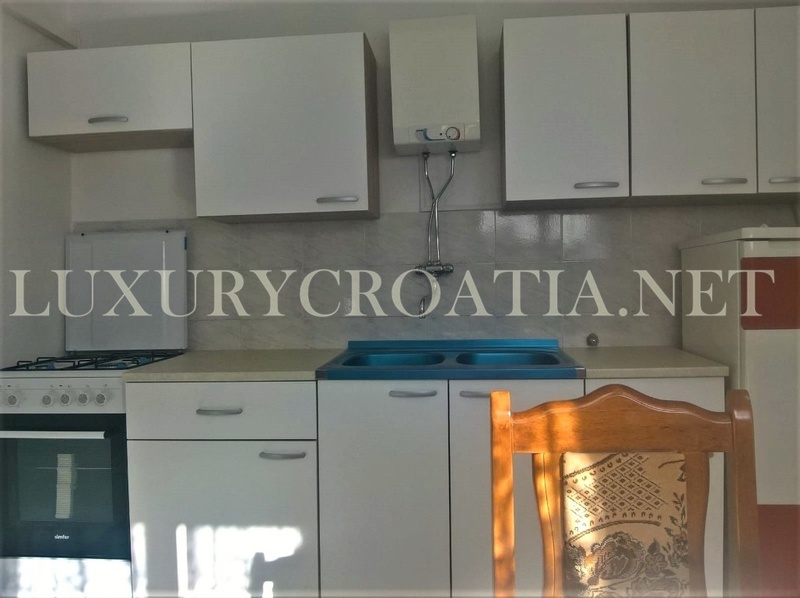 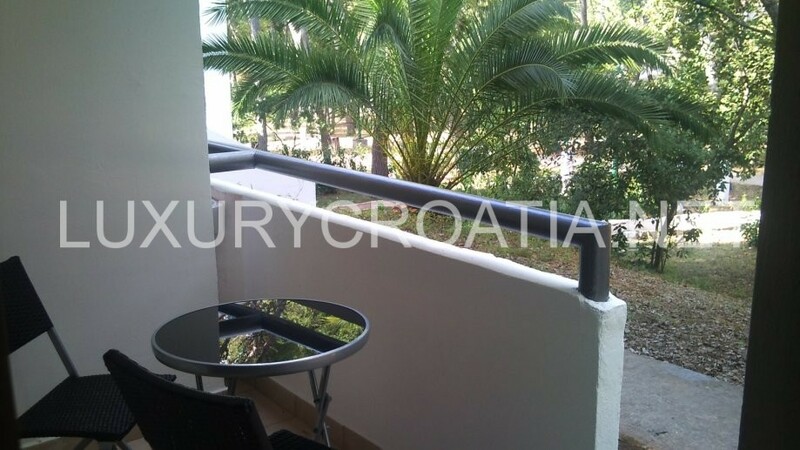 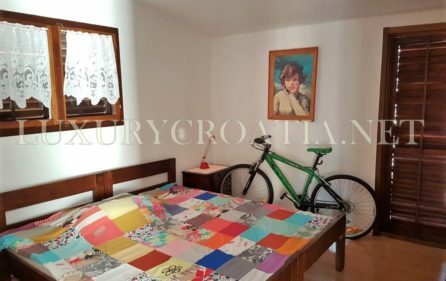 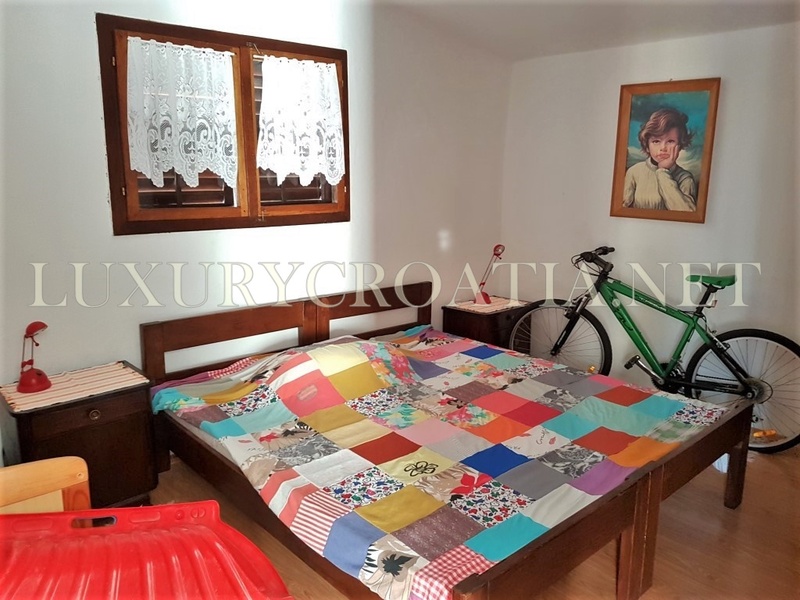 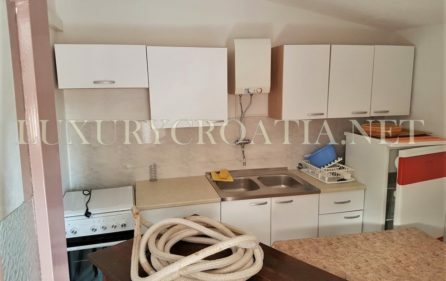 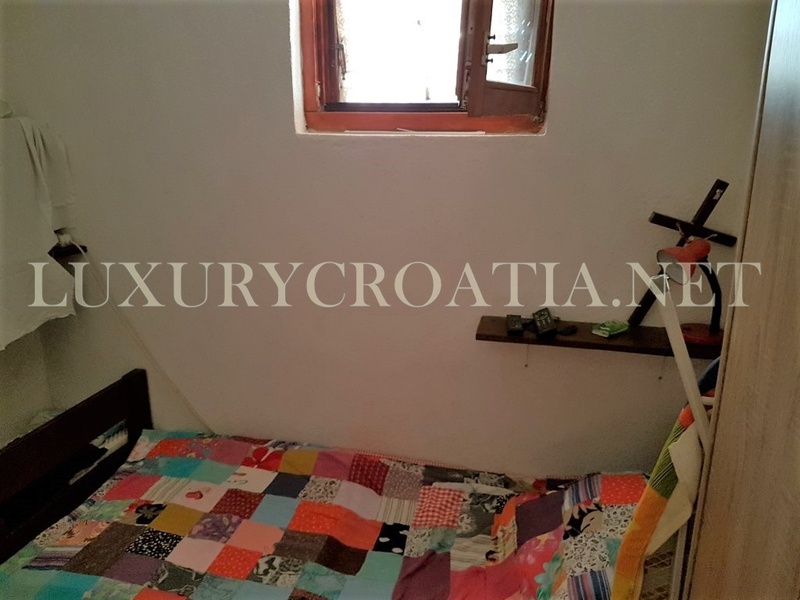 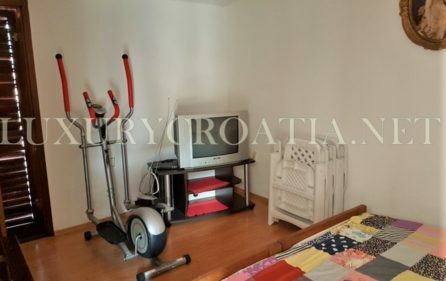 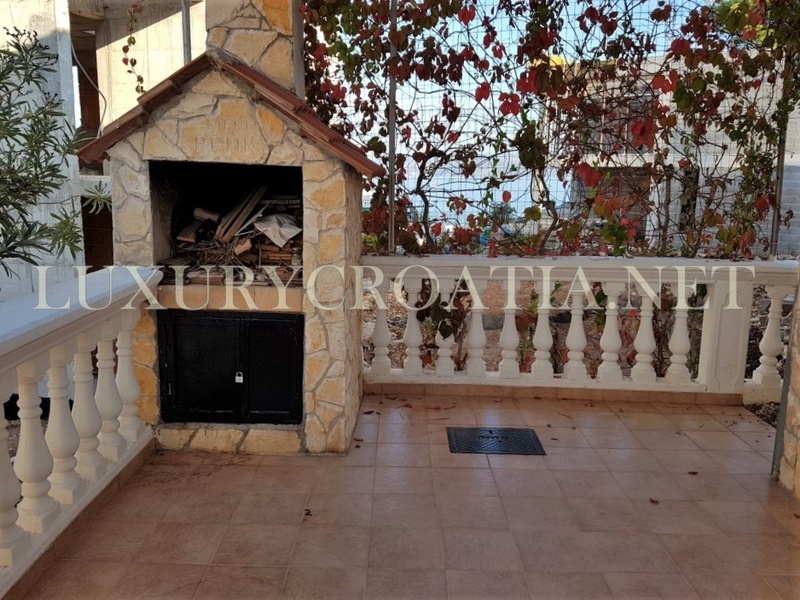 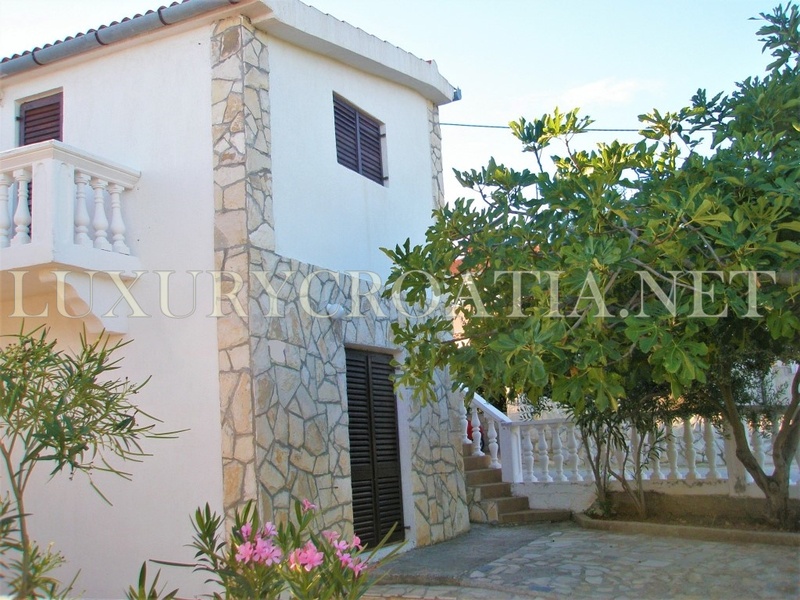 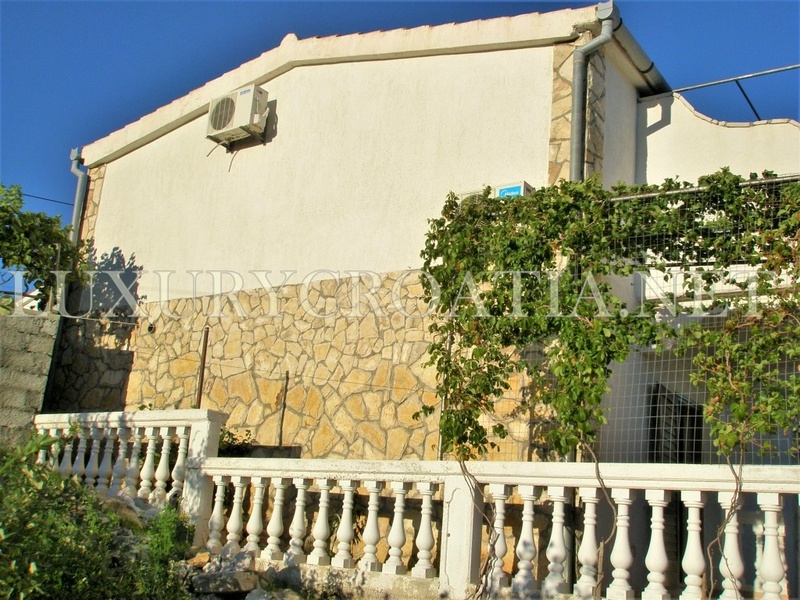 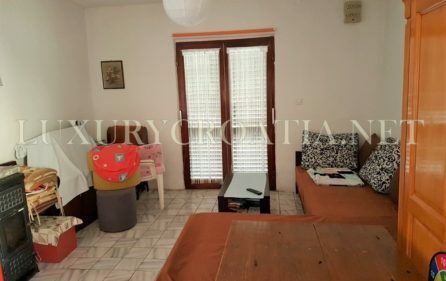 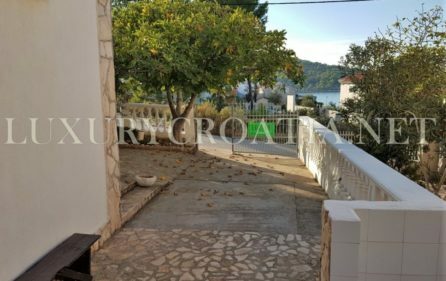 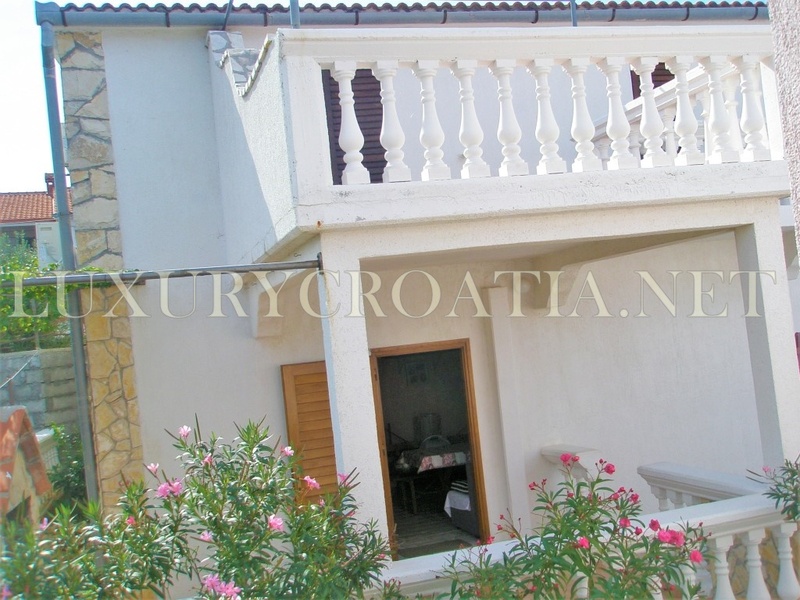 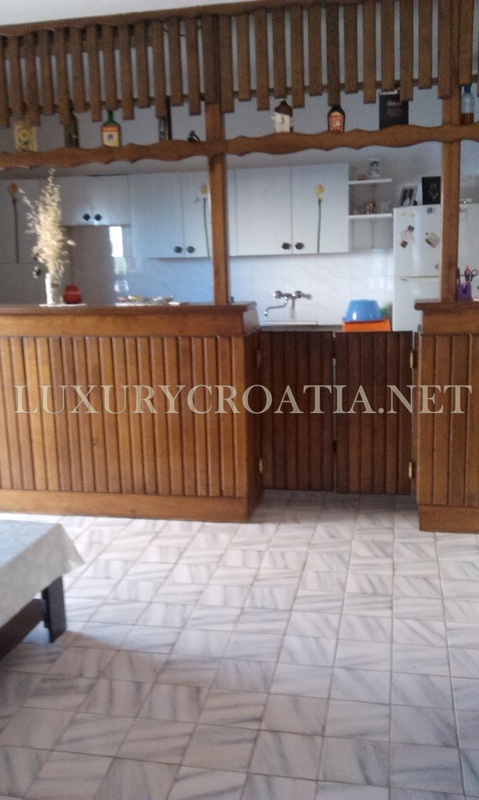 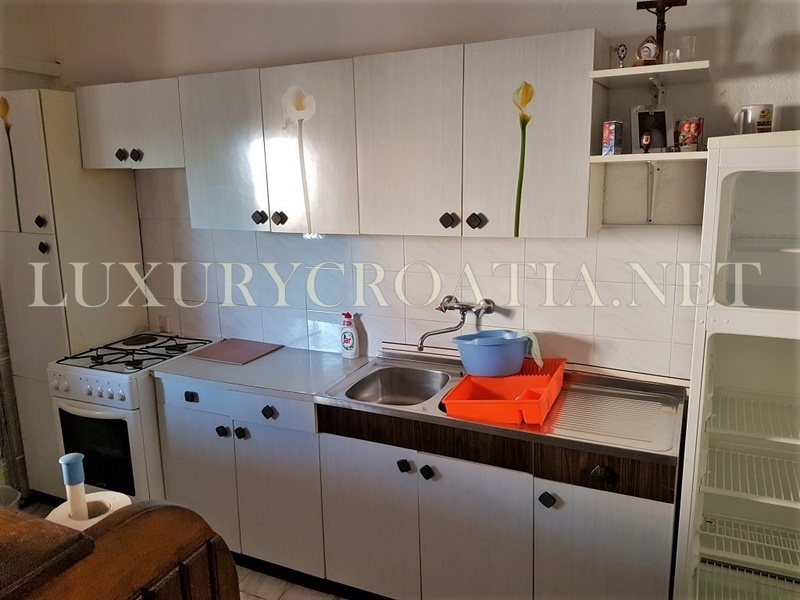 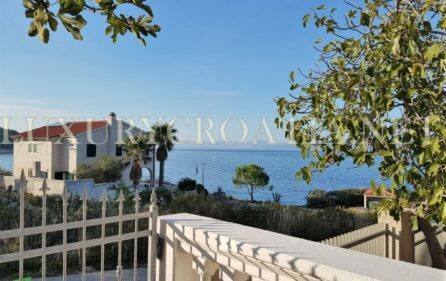 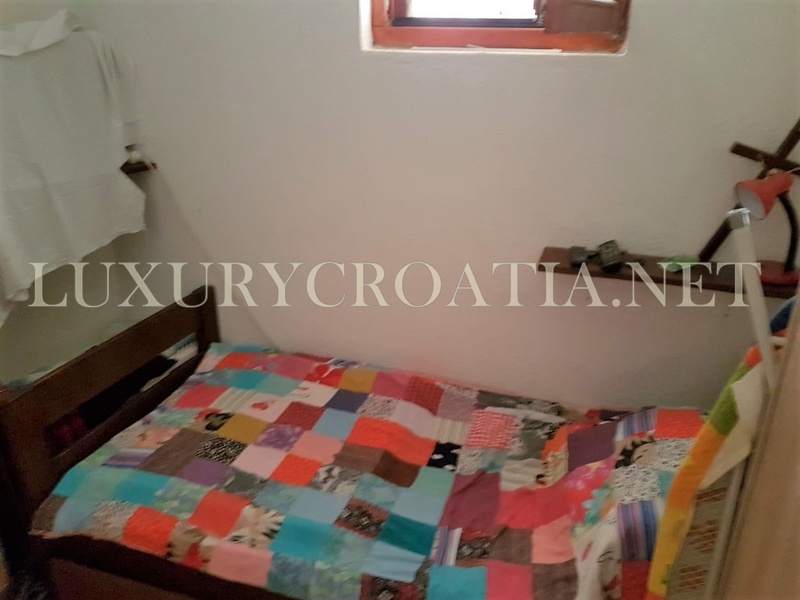 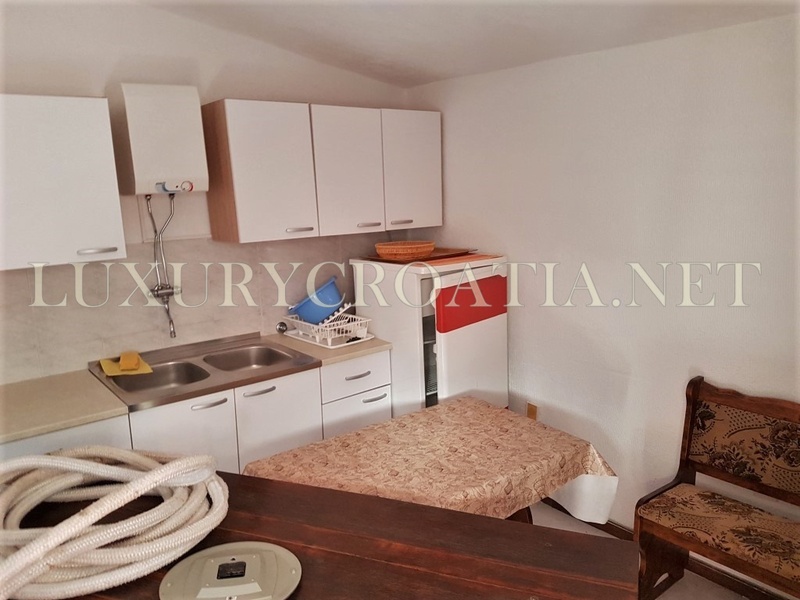 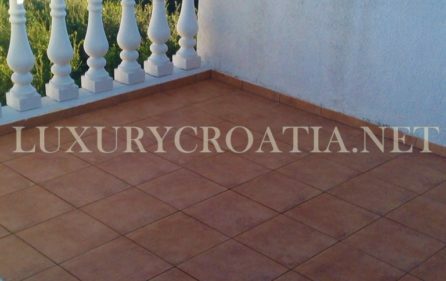 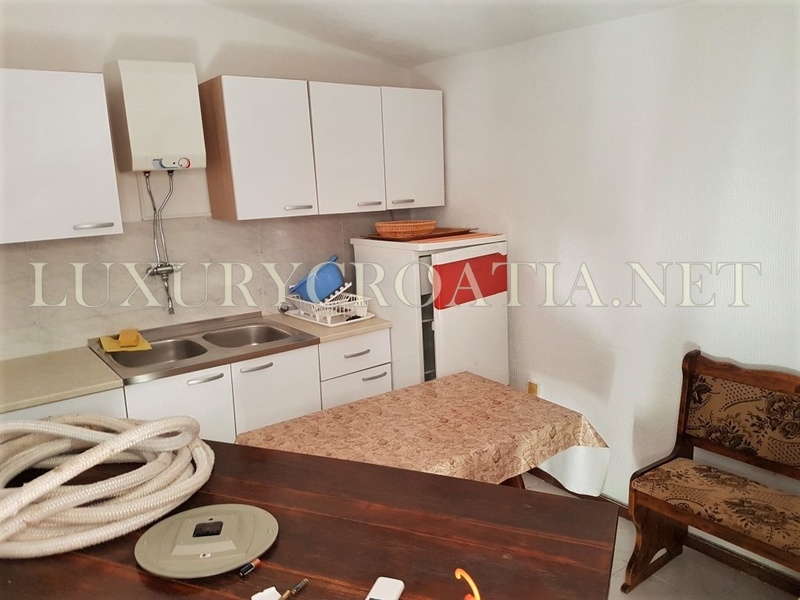 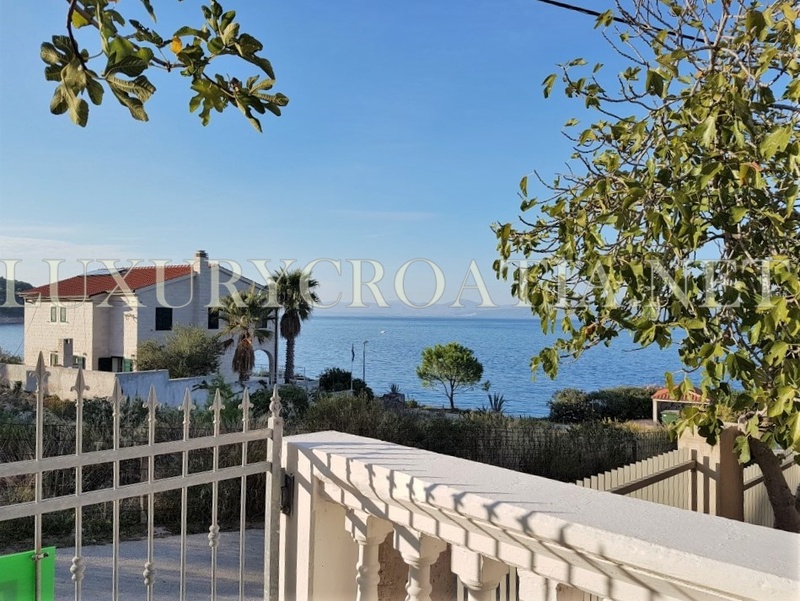 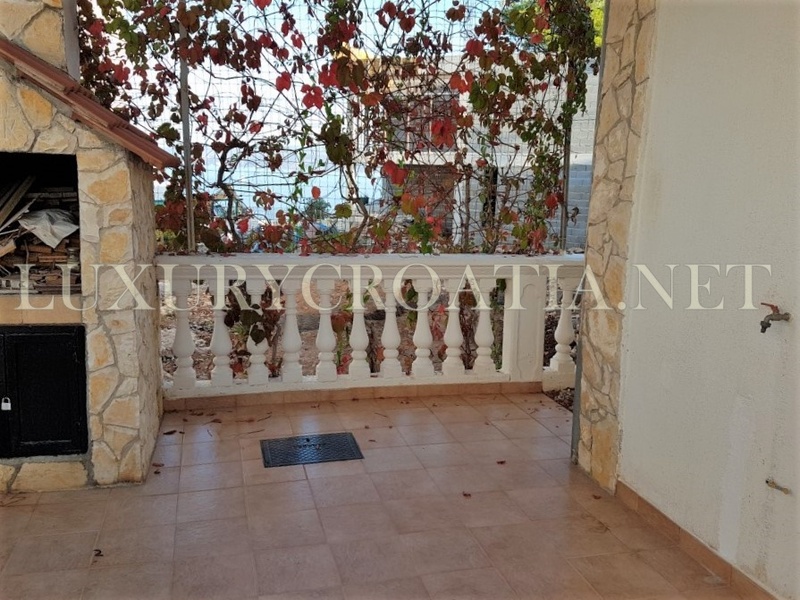 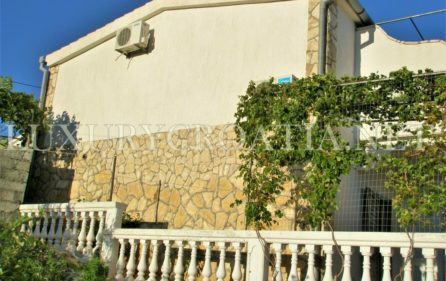 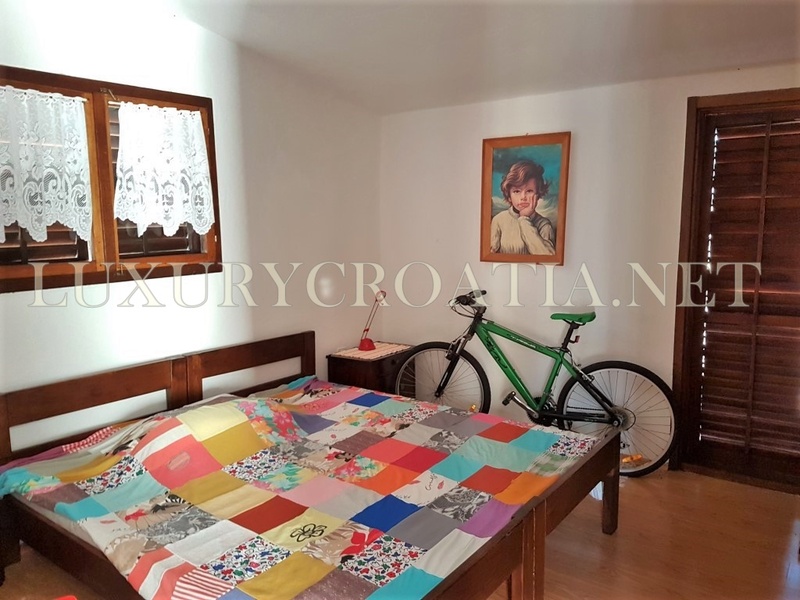 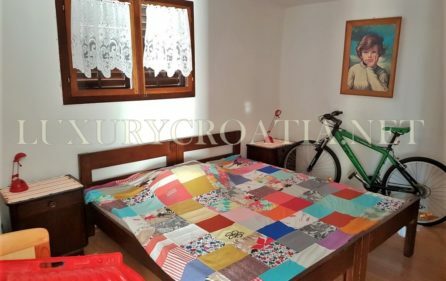 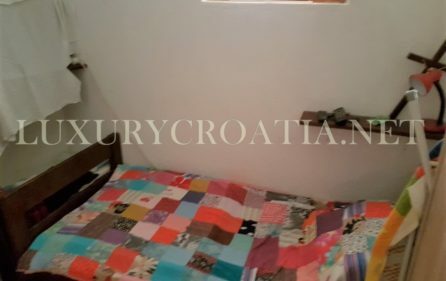 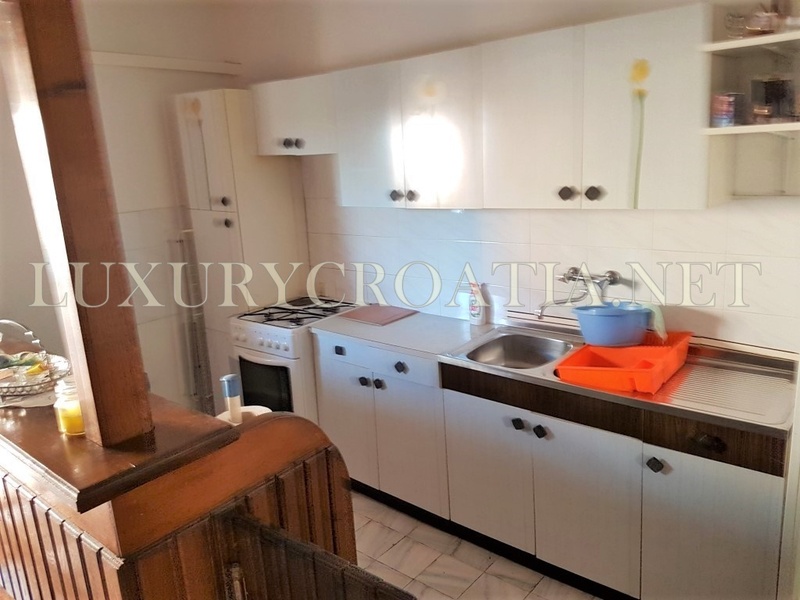 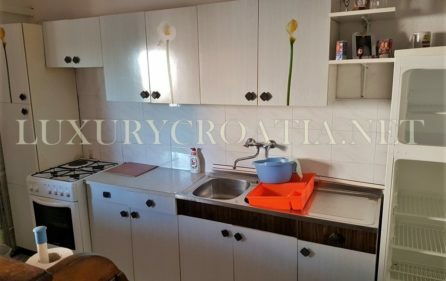 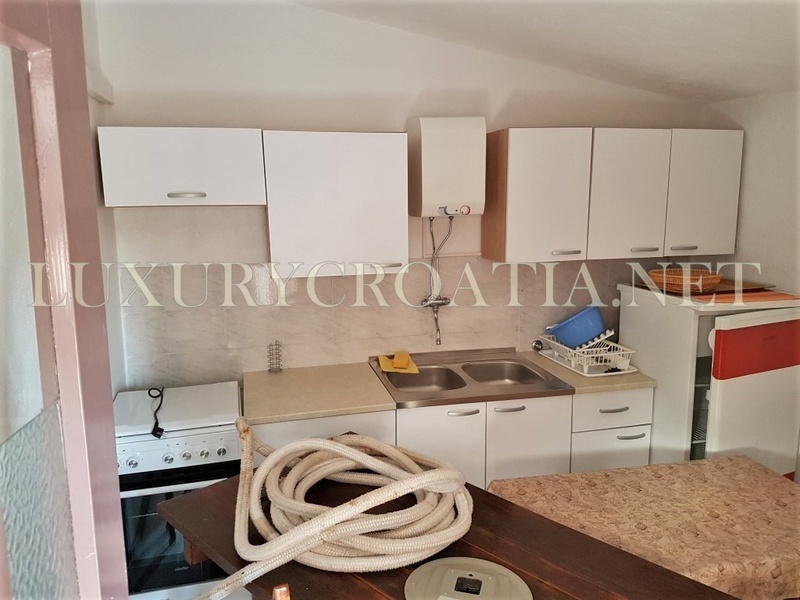 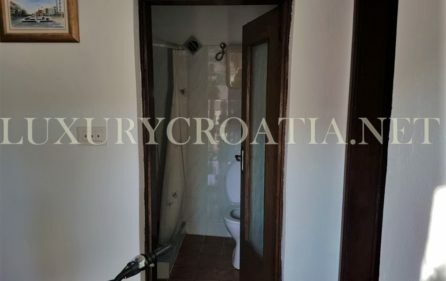 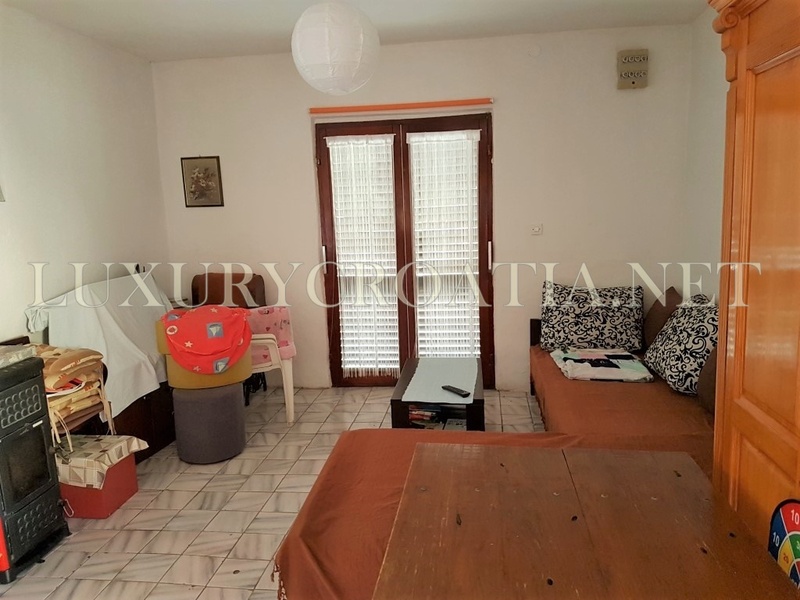 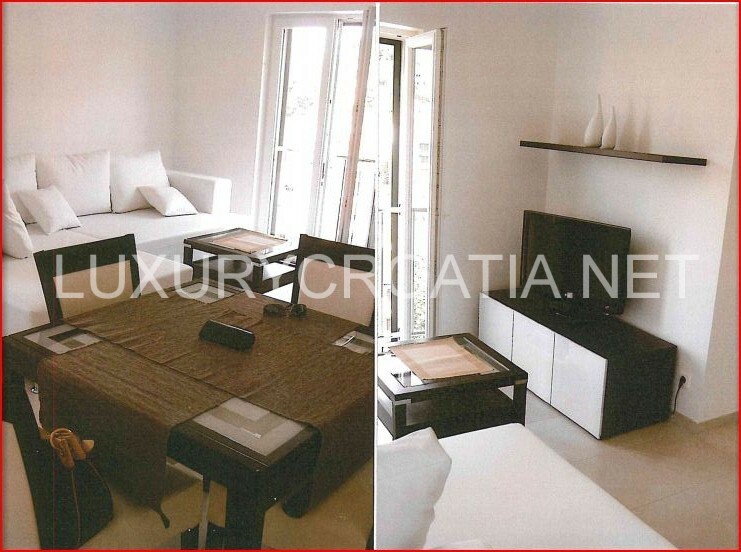 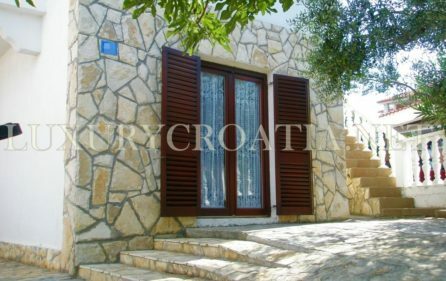 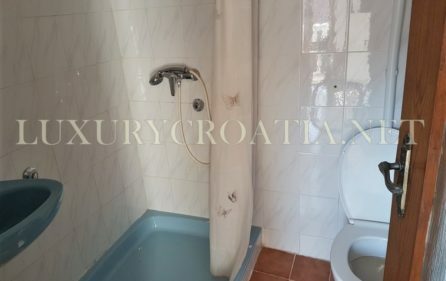 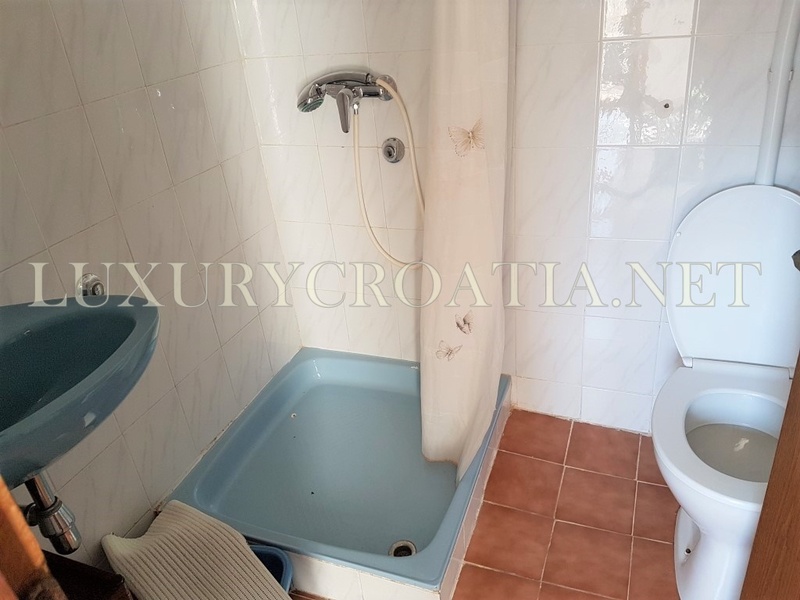 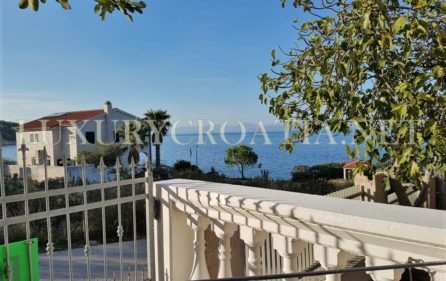 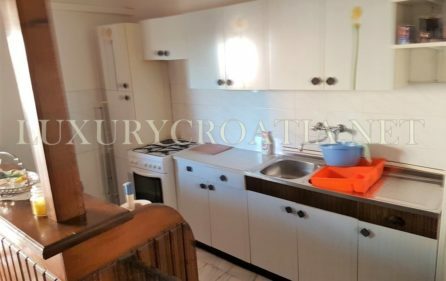 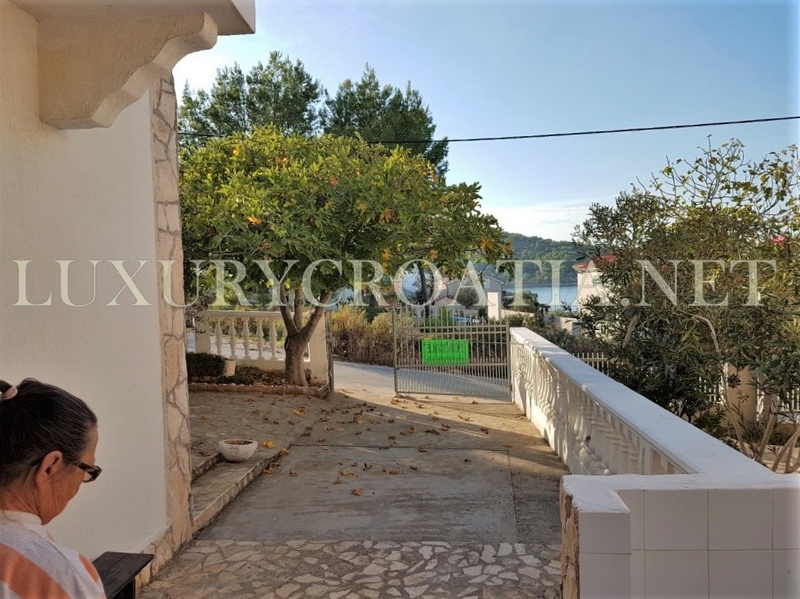 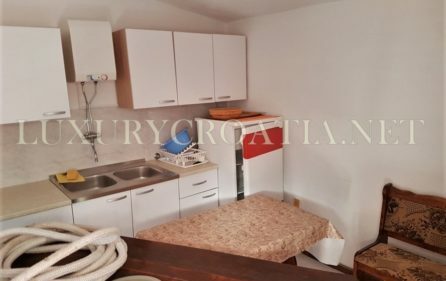 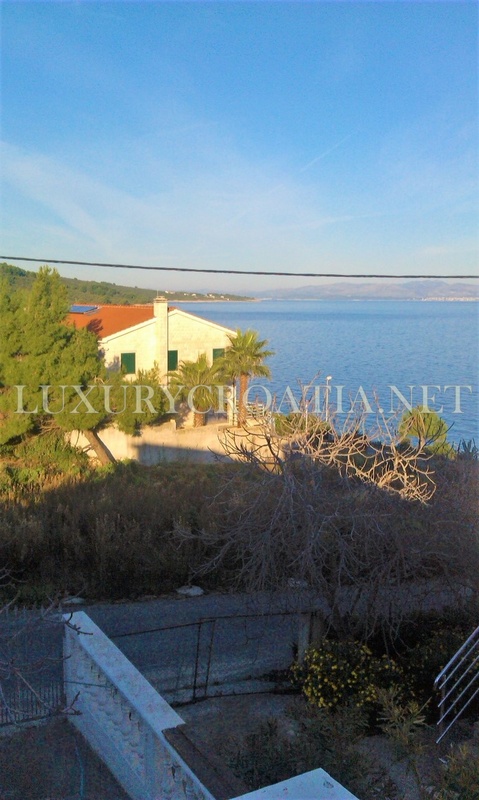 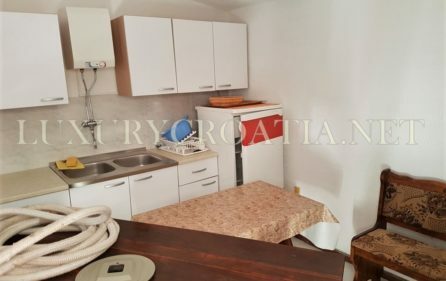 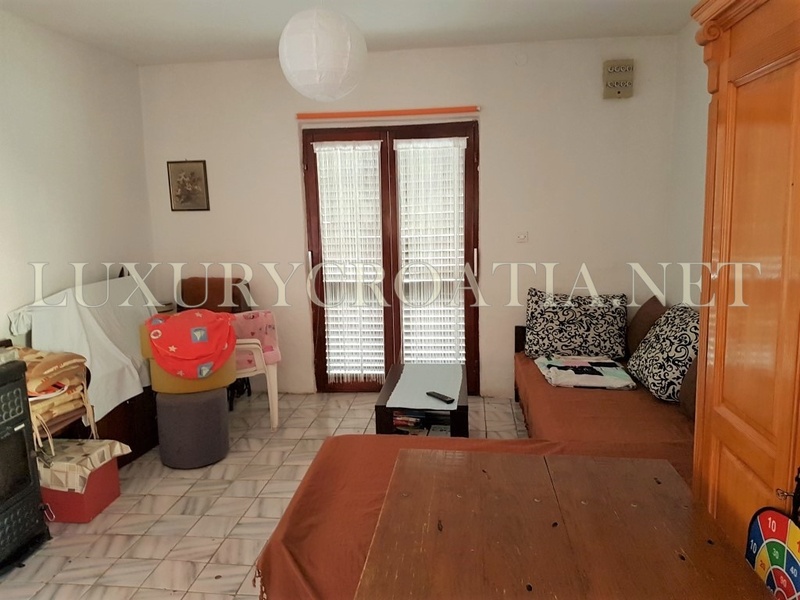 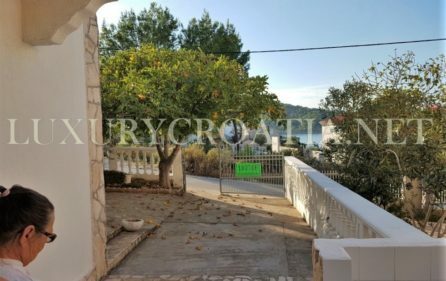 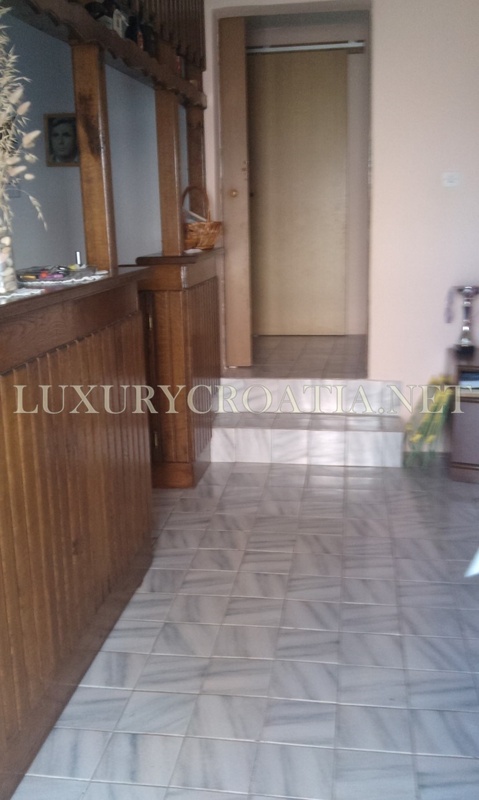 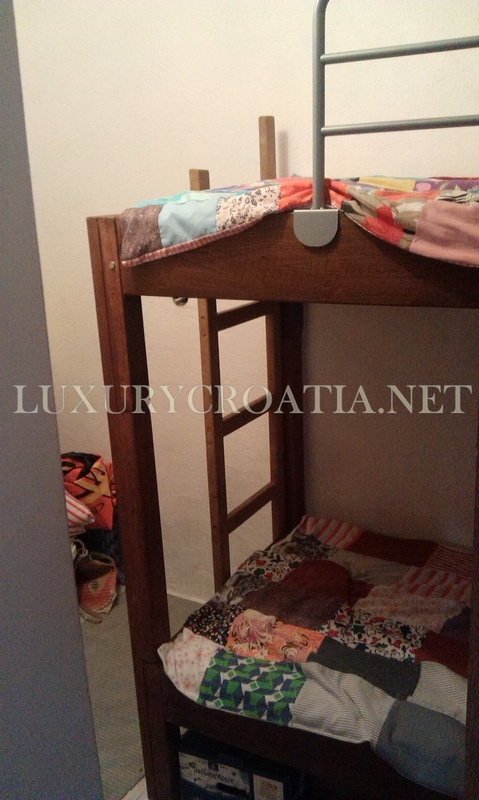 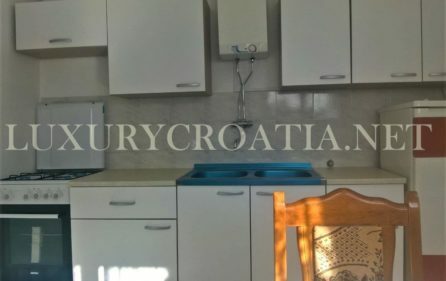 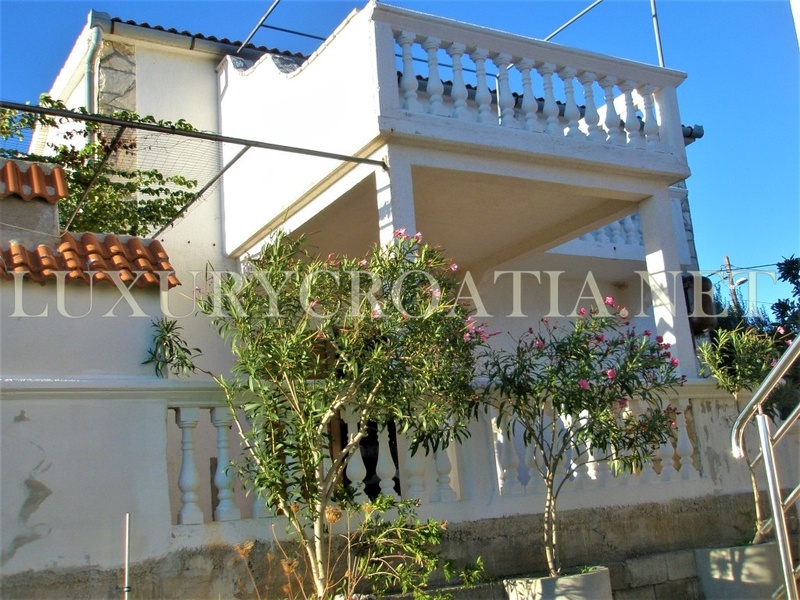 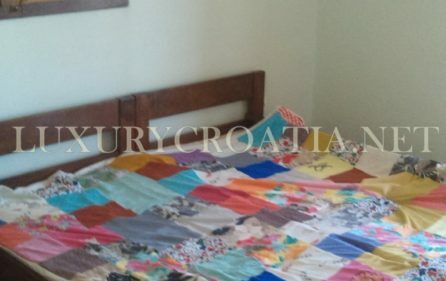 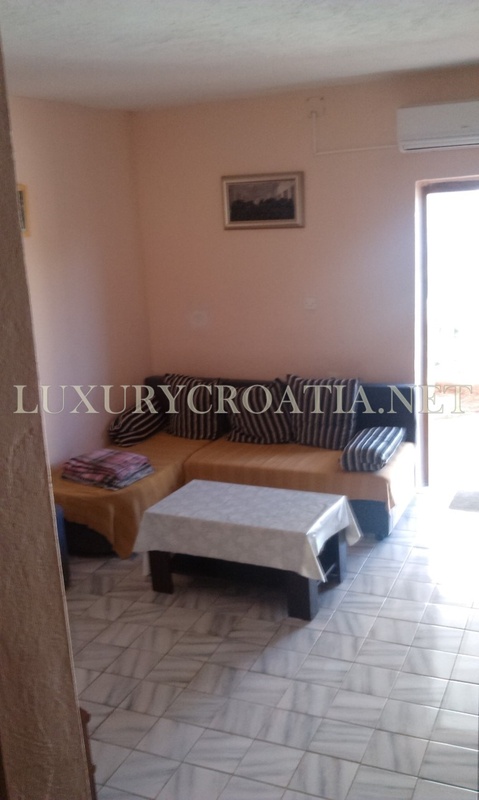 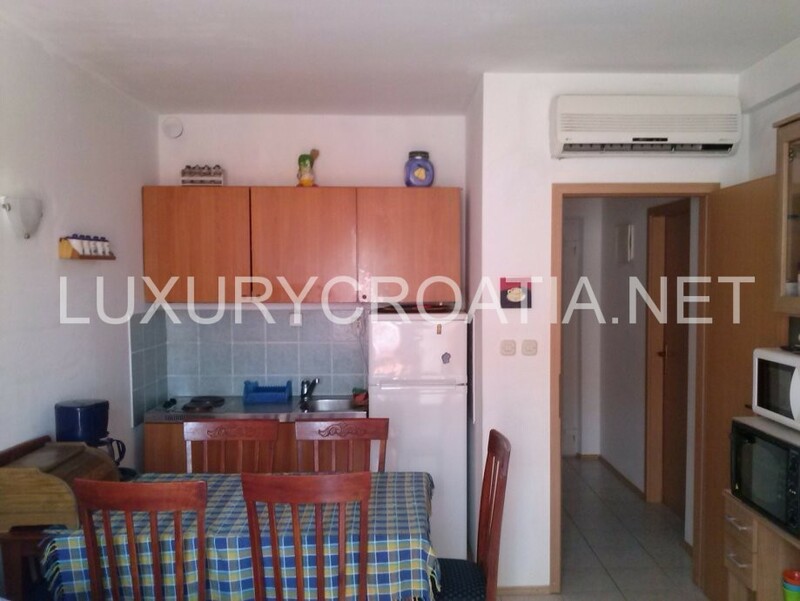 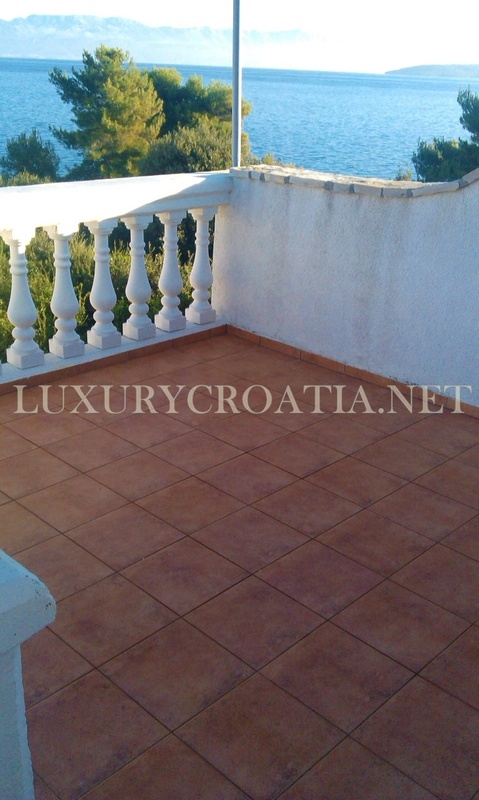 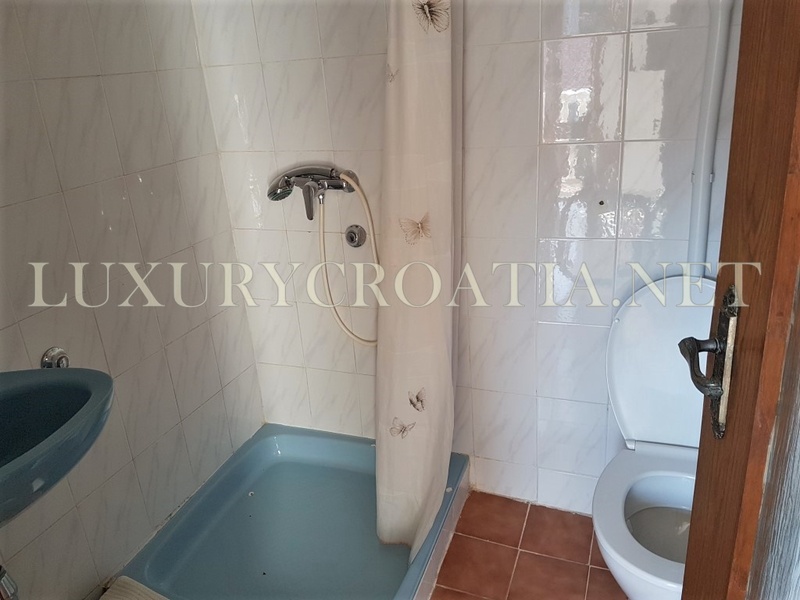 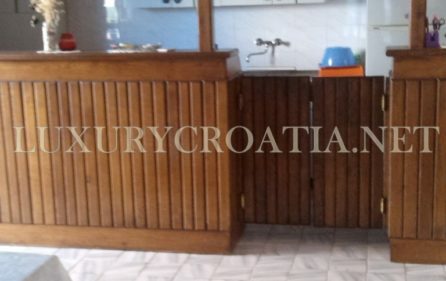 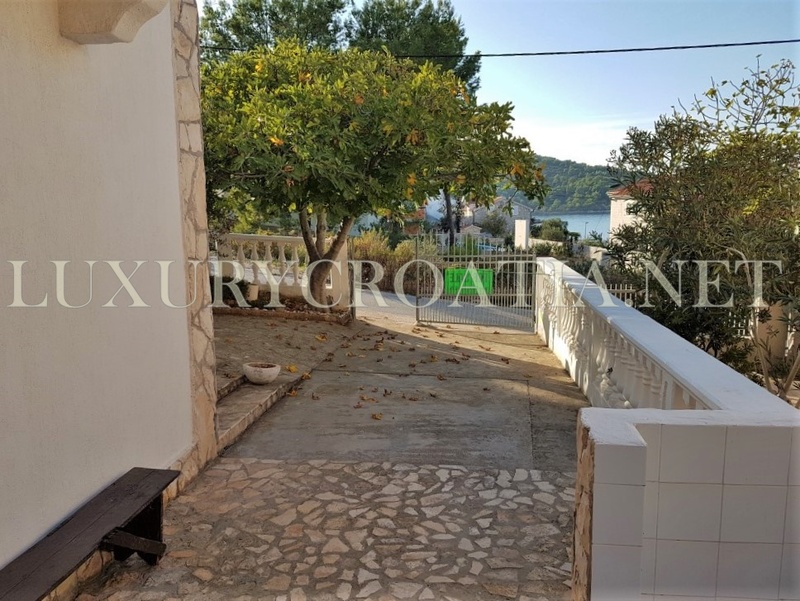 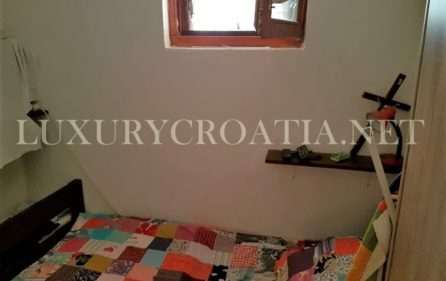 This house for sale near the beach, Solta island of Croatia is located in the second row from the sea, only 50 meters to the seashore. 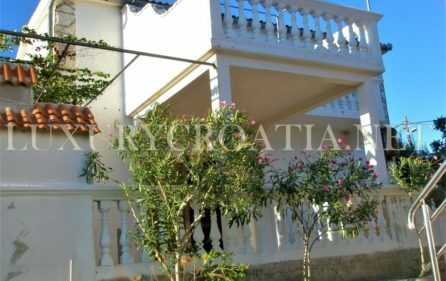 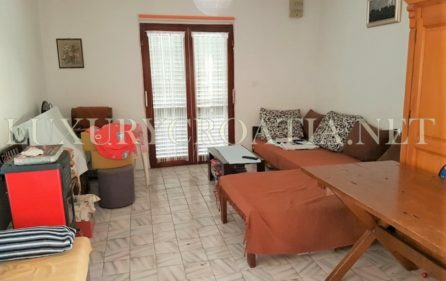 House is newly constructed, consist of two floors, one apartment on the ground floor enjoy garden and front yard in greenery with parking for 1-2 cars. 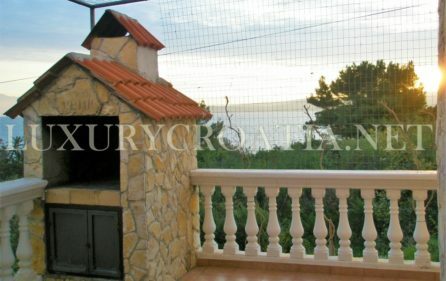 Upstairs is another apartment with beautiful sea view. 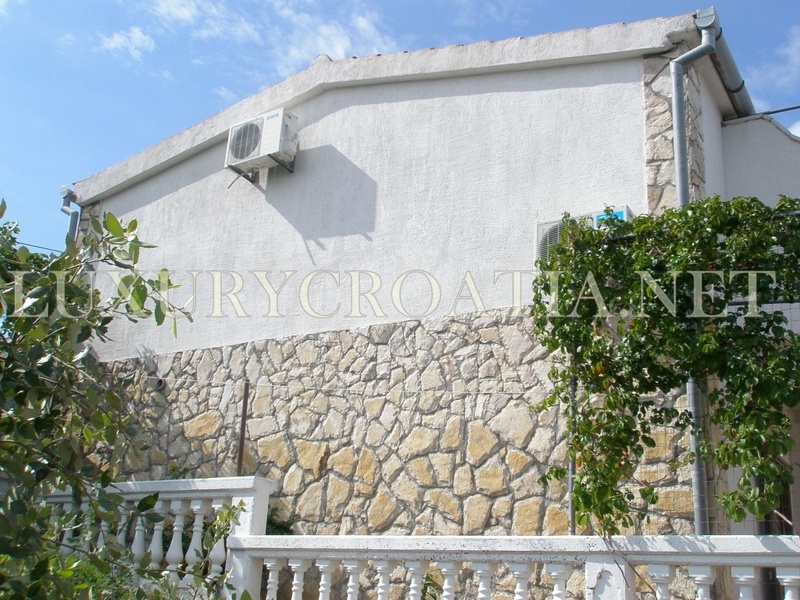 House sits on the land plot of about 170 m2. 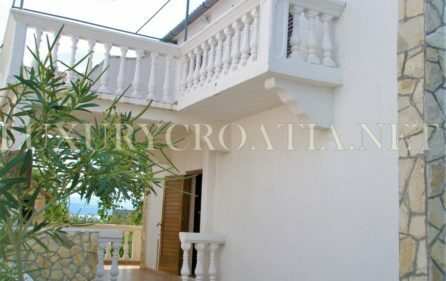 House has a total of 112 m2. 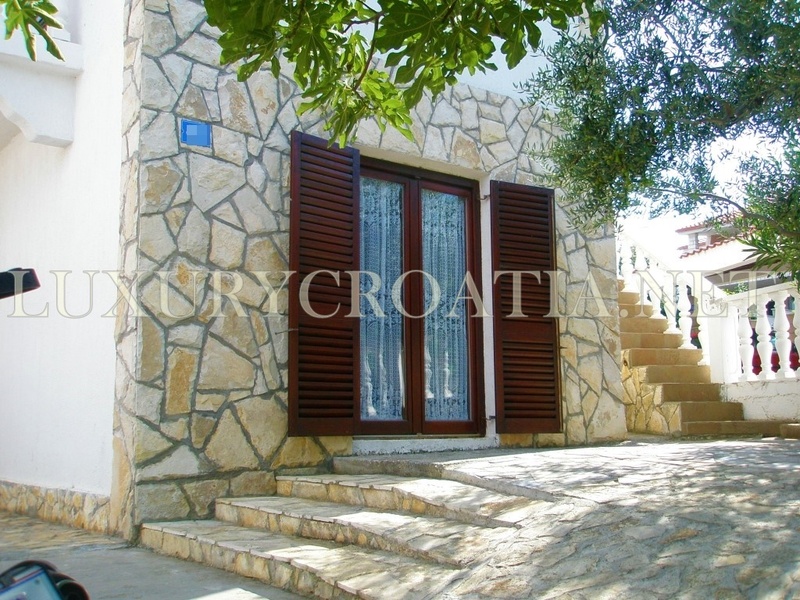 It is located in a quiet area of the coastal village on Solta island. 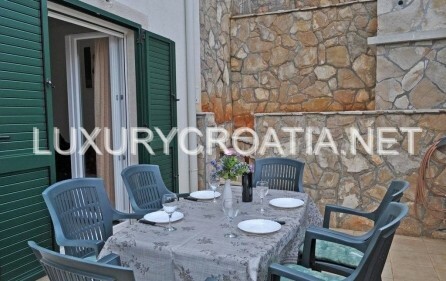 In the village, there are all amenities for all year living such as supermarket, restaurant, cafe, ATM, grocery. 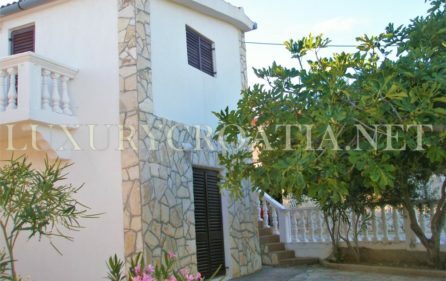 On the island, there is a doctor and dentist, large supermarket center, green market, school. 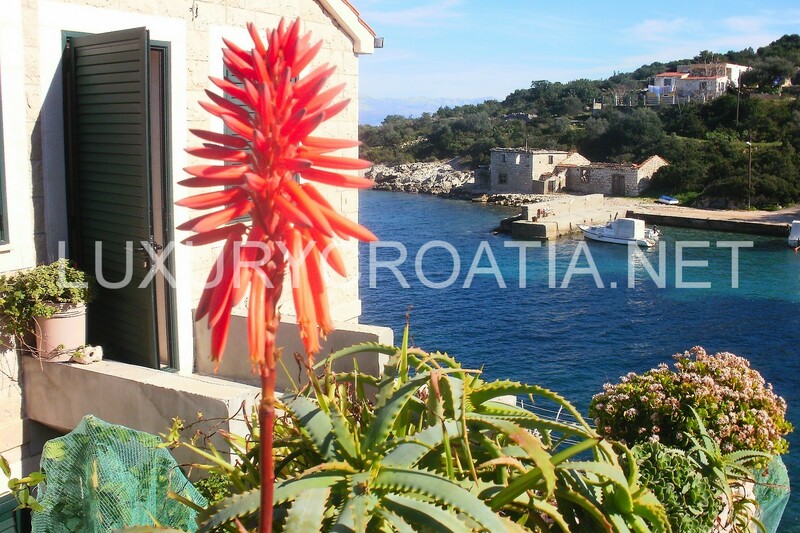 The small island of Solta is an island in the central Dalmatia in the Adriatic Sea. 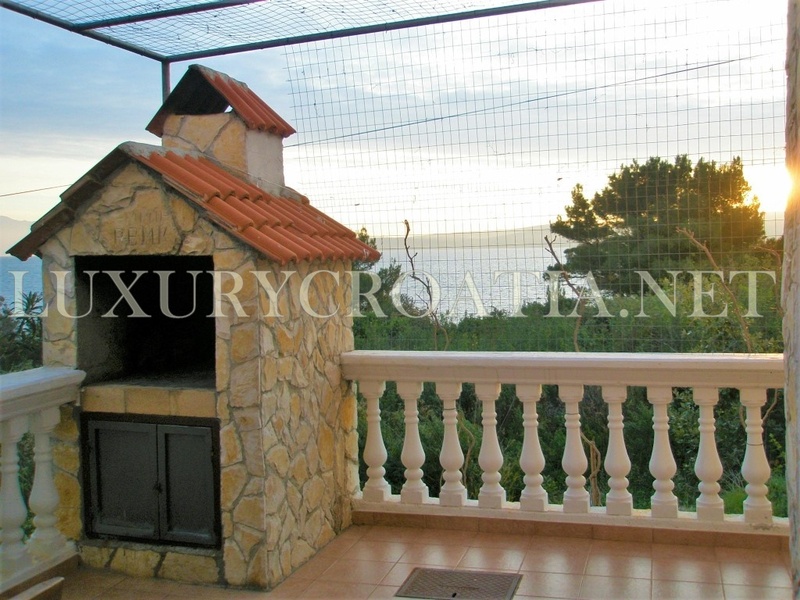 It is situated only 9 nautical miles south away from Split, west of the island Brac and east of the Drvenik islands. 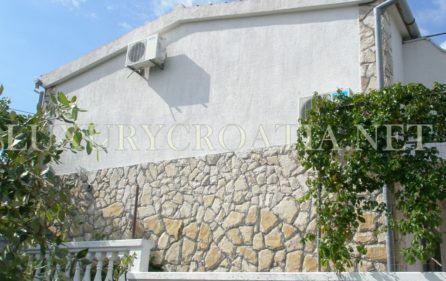 Due to its closed position to Split and regular daily ferry lines or catamaran arriving at the harbor of Rogac, it has good connections to the mainland of Croatia and furthermore to the rest of Europe. 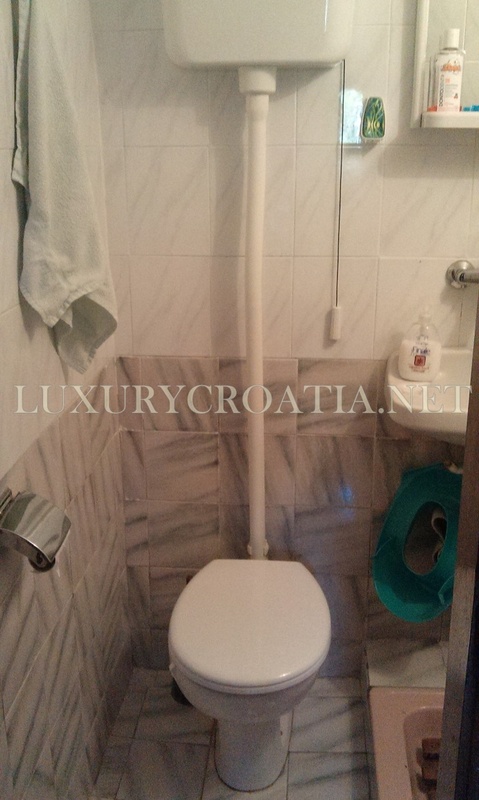 If you want to know more about Solta click here: Solta. 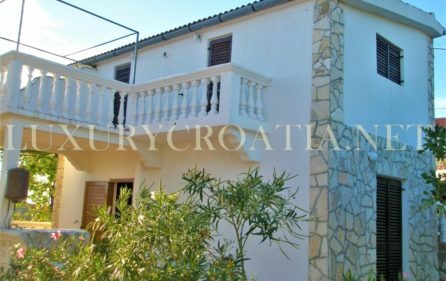 If you want to know about buying procedure in Croatia click here: Buying property in Croatia – cost and fees.